Gimbal suspension is widely prevalent in technology and is a concept that is as old as Leonardo da Vinci, who suggested its use for nautical compasses. In lighting technology, gimbals are an elegant solution for pinpoint adjustment of the luminaires. 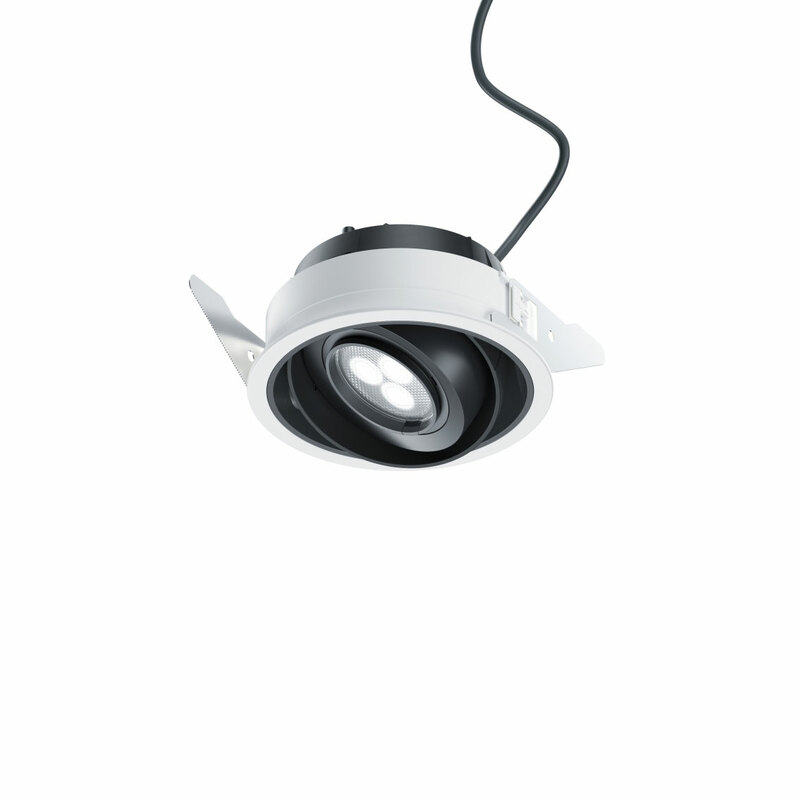 Gimbal recessed spotlights transform this principle into the era of digital lighting - with a highly precise and convenient swivel mechanism in a compact design that stands apart from conventional approaches and enables shallow recess depths. Different sizes and wattages for the full spectrum of light distributions make Gimbal ideal as a system for differentiated lighting design with focus on the high-contrast presentation of objects. With its unique technoid appearance in the ceiling, Gimbal lends itself perfectly to retail projects as well as to museums and other public buildings.